The J1 comes in five colors (as does its lenses): pink, red, white, silver and black. The V1 is only available in black. The J1 has a built-in flash, the V1 does not. Instead, the V1 has a multi-accessory port where the photographer can attach a Speedlight (Nikon’s external flash unit, which is not included with purchase). Unlike the J1, the V1 has an electronic viewfinder. Unlike the J1, the V1 has a dual shutter system that enables the user to select their shutter type: Mechanical, Electronic or Electronic (Hi). Because the J1 does not include a multi-accessory port, certain peripherals will only be compatible with the V1, such as the GPS unit accessory (more on this to come). The battery life for the J1 is less than that of the V1. The estimated number of shots per charge for the J1 is 230, whereas the V1 it’s 350. Although both cameras have a 3-inch LCD monitor, the resolution varies; the J1 has a 460,000-dot resolution, and the V1 has a 921,000-dot resolution. So, as you can see, there are more options and versatility with the V1, which is reflected in the pricing of the cameras – which we’ll take a look at towards the end of this review. In addition to these lenses, a user can purchase the FT1 Mount Adapter – available early 2012 – which allows you to attach all F Mount NIKKOR lenses to the V1 camera at a 2.7x crop factor. With the world’s fastest autofocus (AF), the Nikon 1 makes it simple for beginner photographers to capture high-speed action shots. The camera has a 73-point focal plane phase-detect AF, meaning that the camera is constantly monitoring what’s going on so that when the user captures their shot, the result is an image that is sharp and the subject in focus. I tested the camera’s capabilities in my dimly-lit living room with my subjects being two rowdy dogs playing and was pleased with the results. While there was definitely some motion blur present, the lighting conditions were extremely poor, the dogs moving very fast, and I was hand-holding the camera (no tripod) – so given the shooting conditions, the results were impressive. You can also select what you want the camera to automatically focus on. From the camera’s Shooting Menu, selecting the AF-area mode option will present you with three options: Auto-area, Single-point and Subject tracking – all of which incorporate facial recognition technology. The Nikon 1 can also shoot at a speed of 10 frames per second (fps) in autofocus mode. If you’re shooting in manual mode, the camera is capable of speeds up to 60 fps, which Nikon claim to be the world’s fastest continuous shooting speed on a camera with interchangeable lenses. Sometimes when there isn’t enough available natural light to capture a decent image, a photographer will need to increase the camera’s ISO settings, which results in the camera’s image sensor being more sensitive to light. The Nikon 1 has an ISO range of 100-3200 (6400 Hi-1). Further, the user has even more control over the auto ISO range, with the options to select A3200 (Auto 100-3200), A800 (Auto 100-800) and A400 (Auto 100-400). The camera also has a feature which will reduce image noise – the result of shooting at a high ISO setting. A new feature for a new camera, Nikon 1’s Motion Snapshot function enables a user to create a two and a half second slow motion video which ends with the captured photograph and is accompanied by themed background music. The way it works is, the photographer presses the shutter button down halfway which readies the camera to start recording. When the photographer is ready to take a photo, (s)he simply presses the shutter button down fully and the camera will capture the image as well as one second of soundless video (3/4 of a second prior to the shutter being presses, and 1/4 of a second after). The themed background music is selected in-camera before the Motion Snapshot is captured. I must admit, I’m not a real fan of this feature, but that’s solely based on personal taste. The feature works well and the results are what you’d expect; I simply can’t see myself ever wanting a motion snapshot that only consists of two and a half seconds. With that being said, if it sounds interesting to you, it definitely puts a unique twist on your photos and can give a nostalgic feel to them. Even with great skill, perfect lighting and ideal gear, a photographer will often find themselves in a situation where it’s extremely difficult to capture the image they have in mind. Why? Because as great as a photographer may be, they cannot always control their subject. Take, for example, a group setting – have you ever tried photographing a large group and been successful in getting everyone to smile and have their eyes open the very instant you press the shutter button? It’s not easy. Other similar challenges become present when photographing young children, pets and action shots. This is where the Smart Photo Selector becomes an invaluable tool for the photographer. When using this feature, the camera will take twenty photos, then from this group, it will select the five best shots (the top photos are selected based on technology which considers each photo’s exposure, focus quality and facial recognition) and then shows the best of the best on the Nikon 1’s display monitor. What I really like about this feature – besides the obvious – is that only the five best shots are saved on the memory card, so you’re not wasting storage space with the other unwanted images. The Nikon 1 is equipped with two shutter buttons, and for good reason – you can record Full HD (1080p) footage and capture still shots at the very same time. I really like this option, as there are times when I’m recording an event and wish that I could also have a photograph of something going on in the scene. Sure, I could use editing software to create an image from within a video but I never actually get around to doing that, and the other problem with taking that route is that the image generated from an edited video won’t be the quality I want. With the Nikon 1, the image you capture is a high-resolution shot. Despite having numerous advanced features, the Nikon 1 also offers simplicity which those who lack any camera experience can appreciate. After all, not everyone sets out to be the next Ansel Adams – some people just want the best photos possible, as quickly as possible. The Scene Recognition mode is exactly what it sounds like: the camera will detect what you’re photographing and set the scene mode accordingly, be it people, landscapes, close-ups or night portraits. If you’re capturing something the camera is unable to detect, the setting will default to Auto mode. GP-N100 GPS unit accessory – This device supports Assisted GPS (A-GPS), which results in a speedy fix on your current location, enabling you to geotag your images and movies with the latitude, longitude, altitude and UTC time. 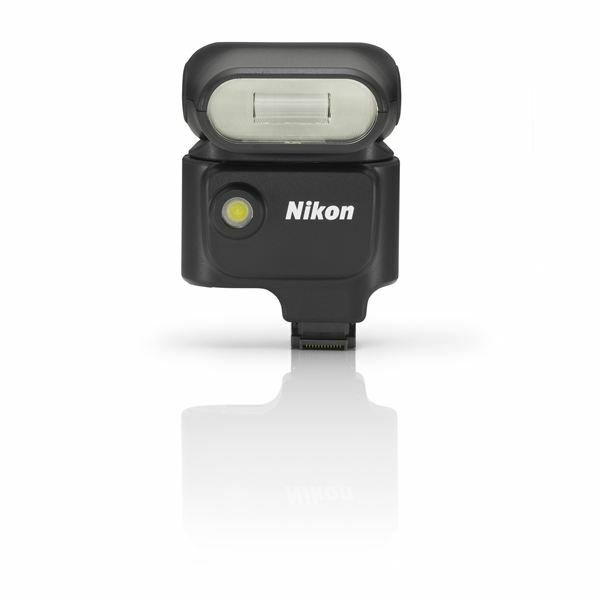 Speedlight SB-N5 – This external flash unit can be rotated so that it’s angled up, down, left or right. 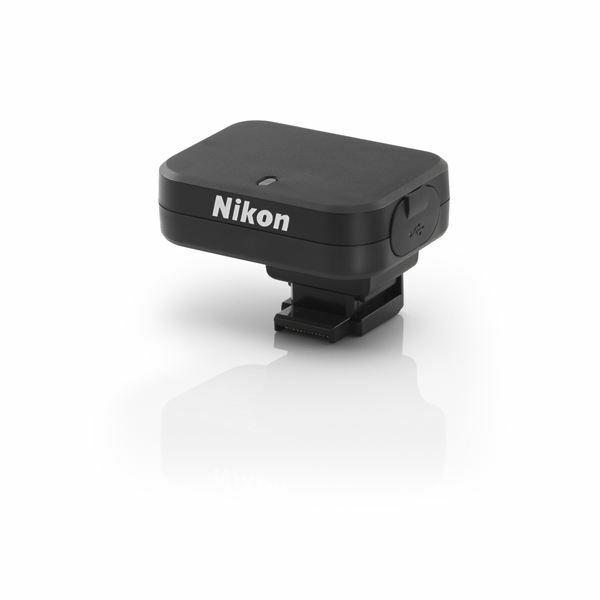 Users will especially want to consider using the SB-N5 when they’re capturing the previously mentioned Motion Snapshots or when using the Nikon 1’s Smart Photo Selector in low-light conditions. Why? When you’re shooting in either of these modes, the process is longer than that of a regular image, which means that a regular flash (which the V1 doesn’t include anyway) won’t illuminate the scene long enough to be effective. With the SB-N5, you can light your scene for up to six seconds, ensuring you have your subject ideally lit. At the beginning of this Nikon 1 review, I said that the new compact system interchangeable-lens camera will change the world of digital imaging, and I stand by that claim. This camera brings together the best of both worlds: the simplicity and ease of use found in a point-and-shoot camera, and the manual control and versatility of a DSLR. Additionally, and more importantly, the camera captures excellent photos and videos and has a wide-range of features that are sure to attract just as wide a range of users. The world’s fastest autofocus and continuous shooting assists photographers in never missing a great shot, and full exposure control and interchangeable lenses provides the flexibility more advanced photographers will be looking for. The Nikon 1 J1 has a suggested MSRP of $649.95, and the V1 costs $899.95.